Keep a strict check on who has access to what part of the buildings, ensure that any master keys are only given to trusted staff. You should also keep a regular check on any lost or missing keys, this may result in calling your local commercial locksmith to change the locks. CCTV is one of the most effective tools you can use to prevent burglaries. However you need to take steps to ensure your efforts aren’t wasted! Little things like making sure the date and time are correct could have a big impact on accuracy if you were to have a break in. Positioning your cameras in view of doorways will also help, and make sure you clean the lens every so often to ensure the recording is as clear as possible. Remember if you do decide to use CCTV, legal requirements mean you must state the name of the operator, a contact phone number and the purpose of the CCTV camera. It’s worth thinking about security lighting if you do not already have this in place. Sensor lights are a simple but effective deterrent, just make sure they don’t affect your CCTV recording. Position by entrances and regularly check that the bulbs are still working, you don’t want your efforts wasted! 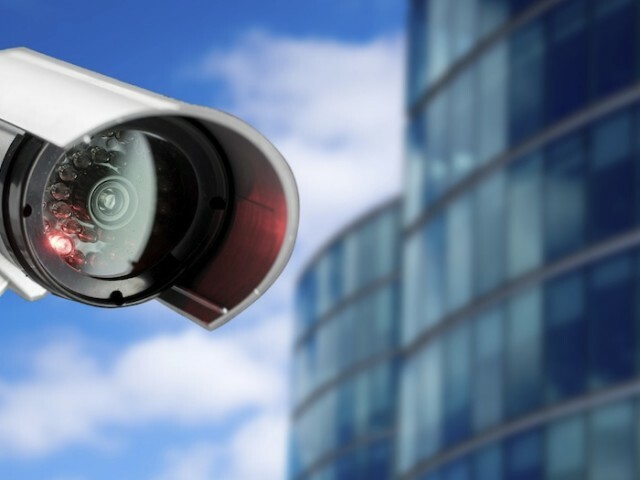 CCTV and lighting should help deter thieves away from your building but there are other steps you can take to help prevent a potential break in. Keep small valuables such as iPads and other tablets out of site and locked up. In the unfortunate event that you do have a break in, a record of your assets such as computers, equipment, printers and other goods should be available. In this you should include a record of the make, model and serial number. If you’re a business that uses plenty of technology, then an alarm system might be worth your while. The alarm should be monitored by a receiving centre who will alert the local police in the case of a break in and alarm trigger. It is an extra cost, but worth the extra cash if you have valuables kept in the building. Painting surrounding walls and fences with an anti-climb paint will make it difficult for intruders to climb over and gain access to your building. This can be used in doors, windows and display windows. This glass is extremely strong and will not shatter. Ideal for properties selling high value merchandise or with high value tools and equipment for that added bit of protection. Hopefully by implementing more than one of these top tips you’ll increase the safety of your commercial building substantially. It’s not an issue worth ignoring, for the safety of you and your business, a little investment in safety goes a long way!